Caroline was the first person Haigo hired entirely over Skype. Considering Haigo’s lengthy recruitment process, this is quite something … Joanna, Patrick, Guewen, Nicolas and Marine appeared in virtual form in Caroline’s office in Boston – where she was studying at Harvard Business School – to discuss the collaborative economy. At Harvard, Caroline was building an e-reputation aggregator to test inter-platform reputation transfer. For example, if you want to rent a car on Blablacar, it might be useful for car owners to know how trustworthy you are, as seen by Airbnb users. All of this began whilst Caroline was studying Economics and Management at the Ecole Normale Supérieure. She was passionate about innovation and so chose to join the Project Masters in Innovation and Concept at the Ecole Polytechnique. The Masters programme was the ideal way to practise her new tools, including Design Thinking, that she had acquired during a 14-month stint helping Groupe SEB to grow digitally. Joining Professor Lakhani’s team at Harvard University was a way to learn more about digitalisation, and it was at this point that she heard about Haigo. 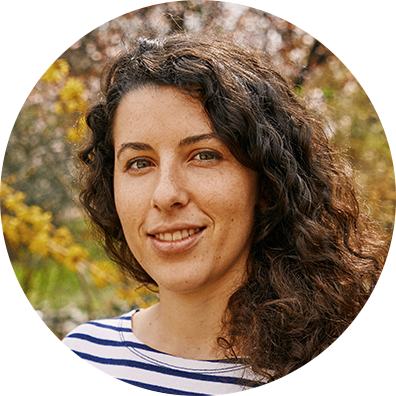 She joined the team to work on the User Intelligence offer, structure and develop Haigo’s academic engagement, and to help Haigo plan for the future. Caroline loves to travel and will happily talk for hours about her “wilderness” road trip in the American West and the night spent in a tent waiting for the bears to go away. She also loves pimping her bicycles, buying up vintage bikes online then getting them into shape at cooperative bike workshops. But seeing as it’s not long since she got back from the USA, you’ll most likely find her in sitting outside a Parisian pavement café, savouring the richesses du terroir.